Contact Kim Miller to request posters for advertising the Teach-In in your school, parish, and/or local community. 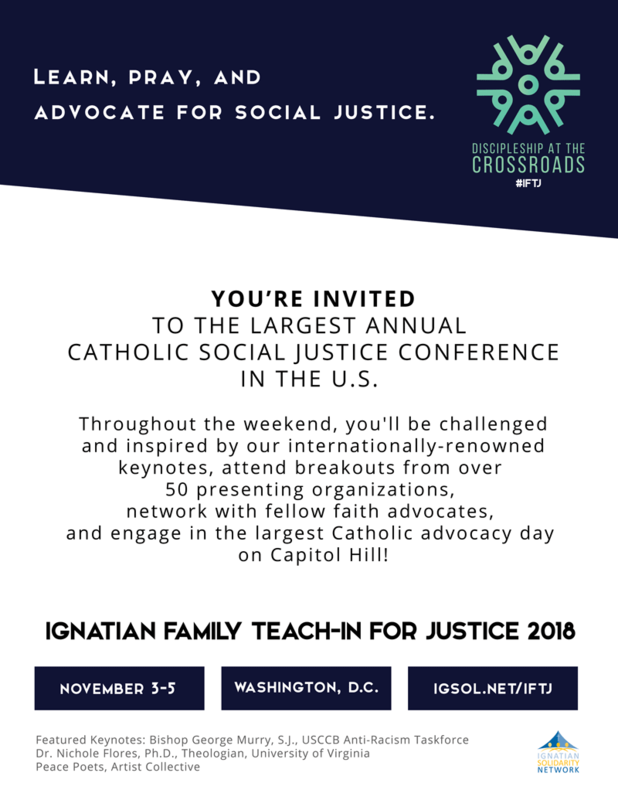 The Ignatian Family Teach-In for Justice is an annual gathering for members of the Ignatian family (Jesuit institutions and larger church) to come together in the context of social justice and solidarity to learn, reflect, pray, network, and advocate together. 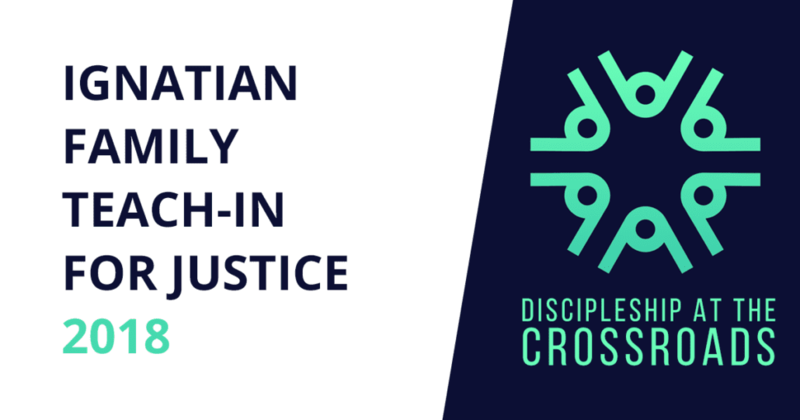 We gather each year in the spirit of the Jesuit martyrs of El Salvador, using their lives and ministry as inspiration for discovering the injustices of today and how we might engage in them. 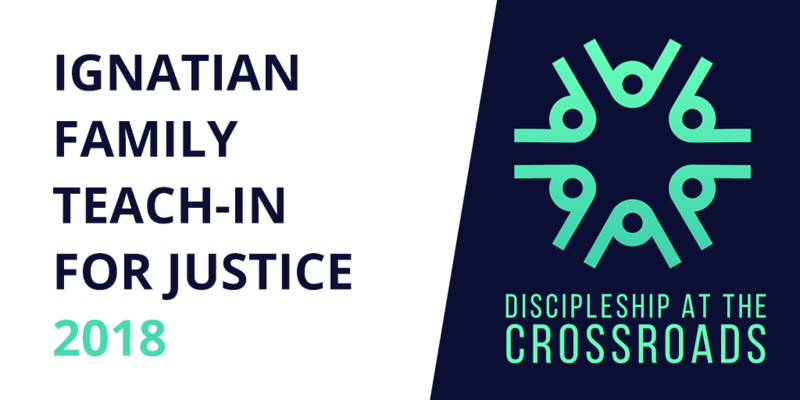 The Teach-In is a place where people are empowered, re-energized, inspired, challenged, and supported by a community that sees faith and justice integrally linked. 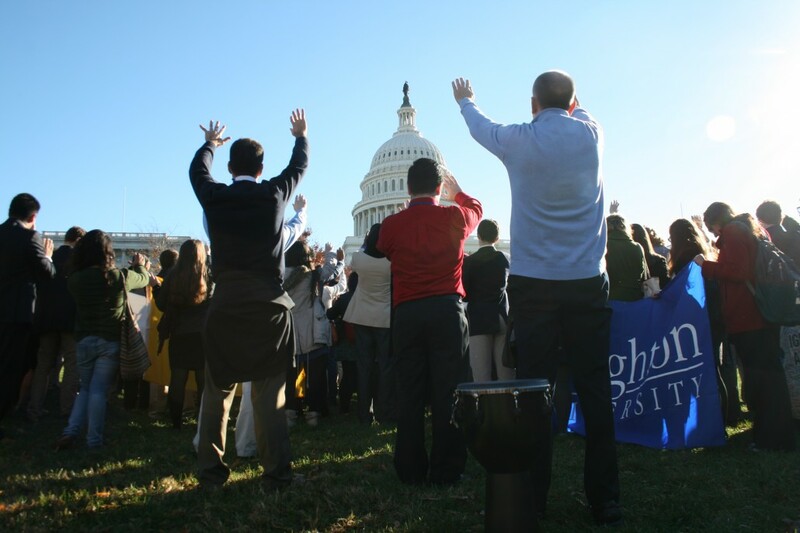 The Teach-In is a space for prophetic voices for solidarity with the economically poor, the marginalized, and the Earth who have an openness to an Ignatian approach to faith and justice. 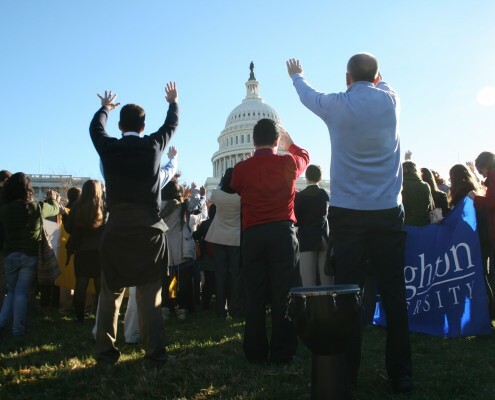 Over 1,800 people are expected to gather at this year’s IFTJ, representing Jesuit and other Catholic high schools, parishes, ministries, and people committed to a faith that does justice. 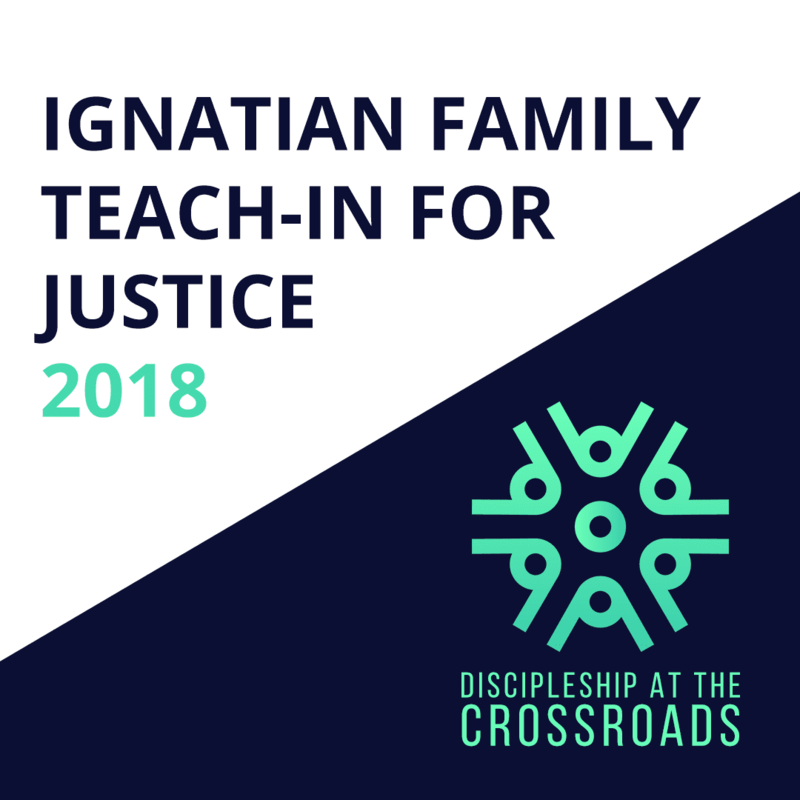 Want to spread the word about the Ignatian Family Teach-In for Justice? We have copy for your websites, fliers, banners, and photos for you to share! To download images or photos, please click on the thumbnail and right click the image. 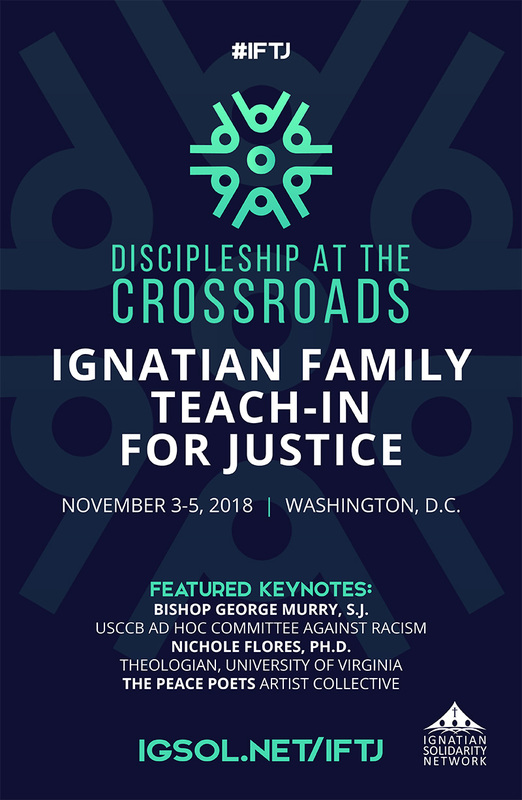 Please contact ISN if you need a different size of the IFTJ logo.